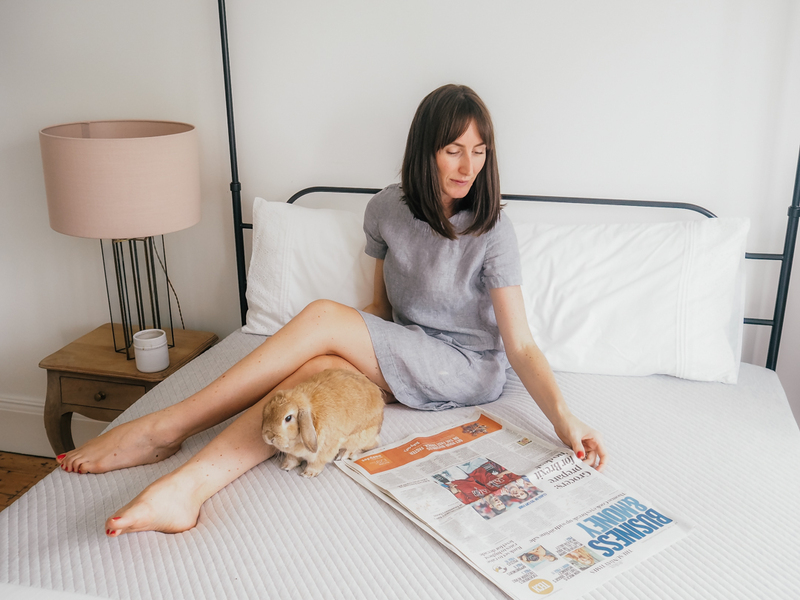 There is nothing like a swelteringly hot night to ruin all chances of a good night’s sleep and in the recent heat wave we have had (I am not complaining, I promise) Will and I have moved our bedroom downstairs (you can see more of our old bedroom here). Up until now we have slept on the second floor of our house, which is in the eaves and whilst it is big and spacey, the issue is in the summer it gets SO hot and difficult to cool down. Luckily all our bedrooms are a really good size and we have a great room to move in to. 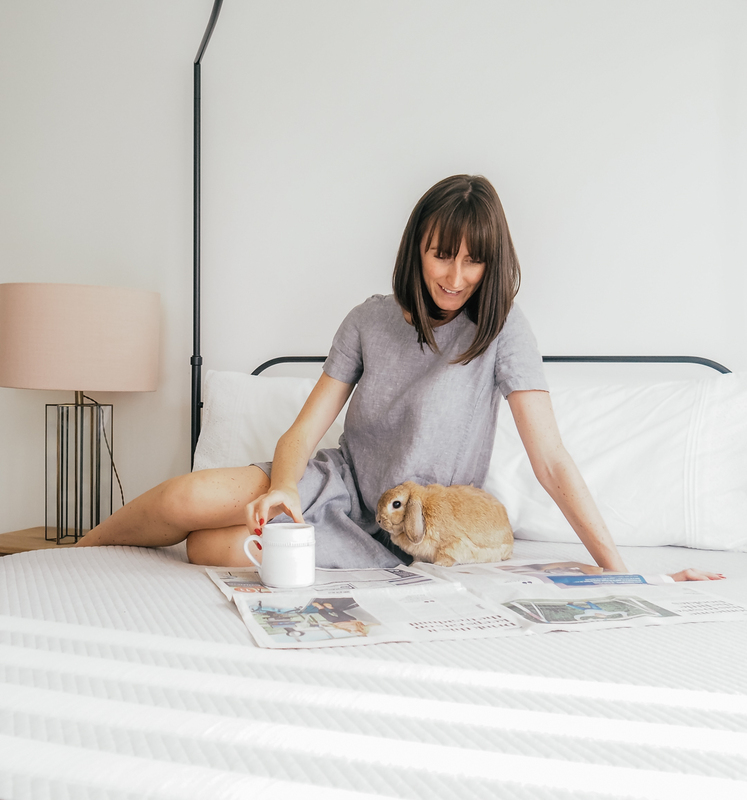 I’m not too sad as we knew we would need to make the move one day – if we decide to have children, we wouldn’t really be able to abandon them on one floor whilst we reside on another now would we! 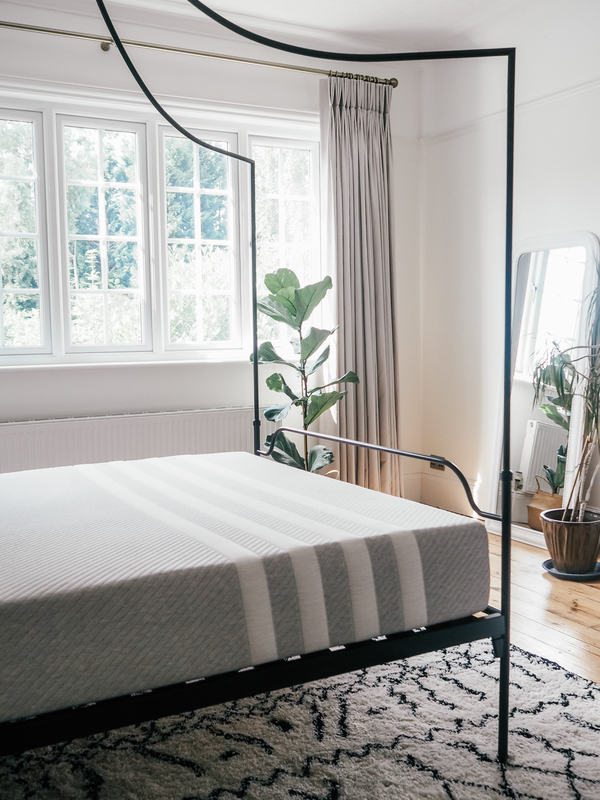 And on the plus side, it means I am able to to give our new bedroom a revamp and spruce it up to dream bedroom status which I have been itching to do for years. 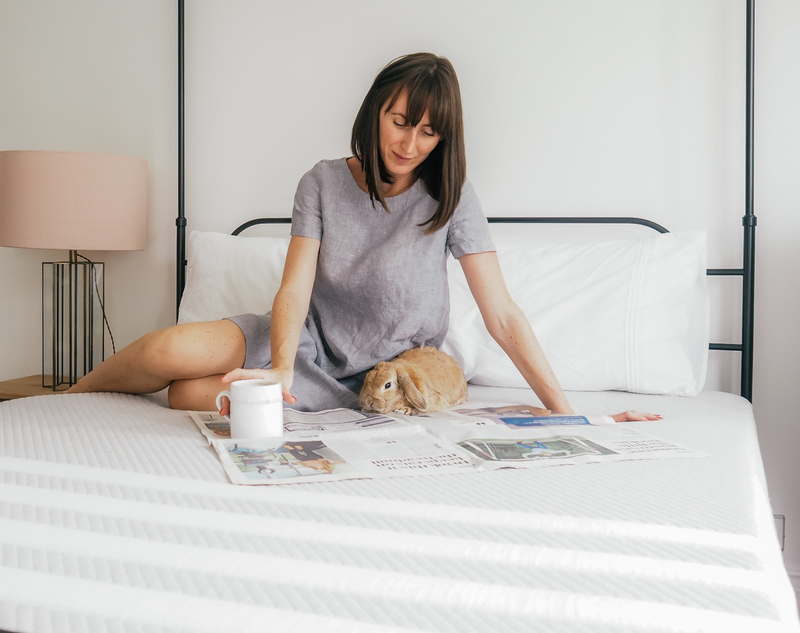 I have had my eye on this absolute stunner of a bed for a while and could not wait to get my hands on it, but in order to create a bedroom you can truly dream in, we all know it is the mattress, not the bed that makes the biggest difference on quality of sleep. Luckily Leesa got in touch at just the right time to ask if I would like to test out their mattress. It couldn’t have been more perfect an offer. 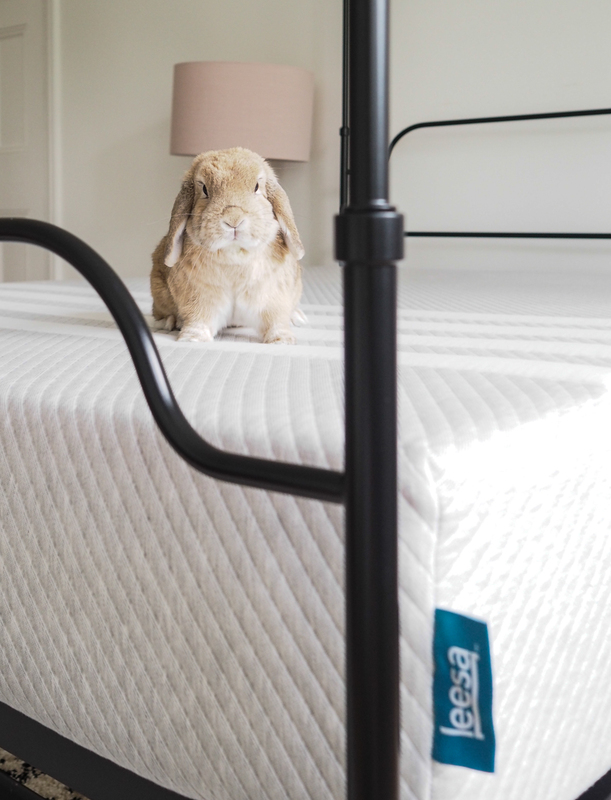 The mattress we had in that room had been Will’s from when he first had his own home….a loooooong time ago! It required so many layers on top of it to make it comfortable that it reminded me of the princess and the pea. 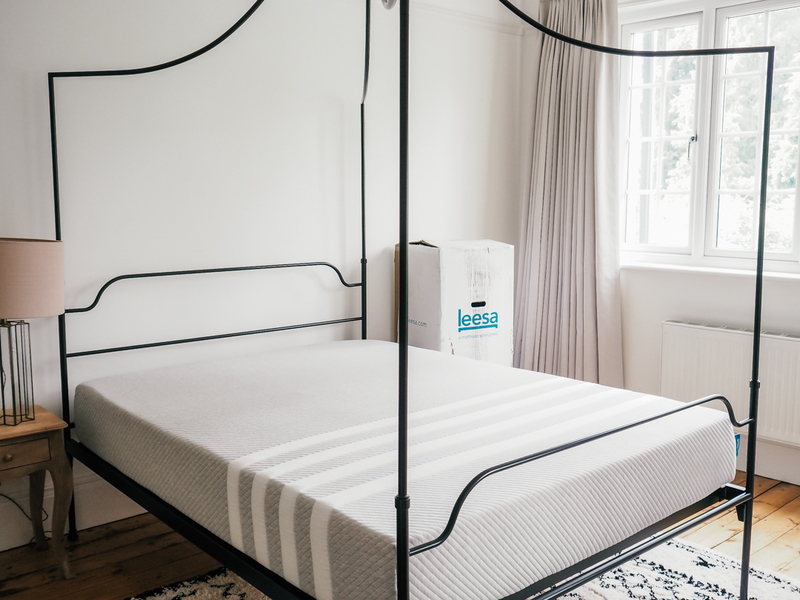 In contrast, the Leesa mattress is a luxury mattress with three foam layers that adjust to your body to provide optimum support and comfort for each person sleeping on it. This also means he can wriggle around as much on he likes on his side of the bed, whilst I am blissfully unaware on my side of the bed! 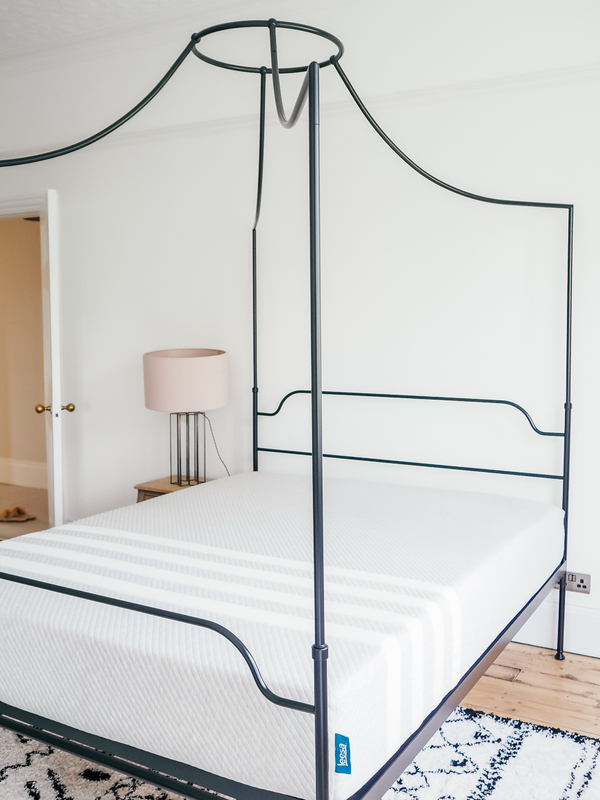 Since we have been sleeping on it we have had great night sleeps (even in the heat), with absolutely no sign of a stiff neck, dead leg or any other malady that may come from an inadequate mattress. 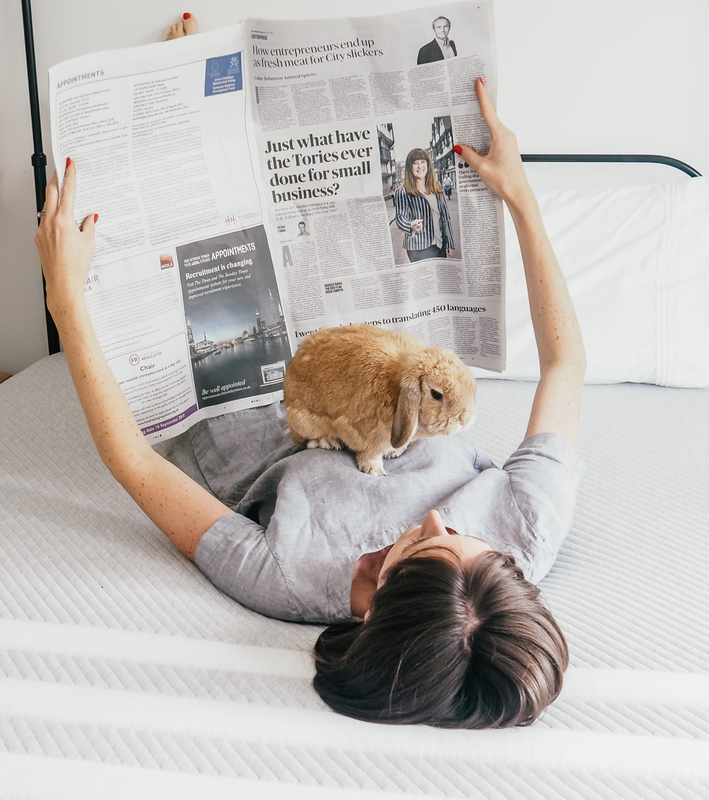 You can only buy the mattress online, but whilst that may seem a bit crazy it comes with a 100-night risk-free trial so you can try the mattress out in the comfort of your own home and if you don’t like it they will come and take it away, for free. For me, this is enough to convince me as I really can’t think of anything worse than wandering around bed shops on a hot Saturday afternoon gingerly bouncing on each one trying to figure out what it would be like to sleep on. 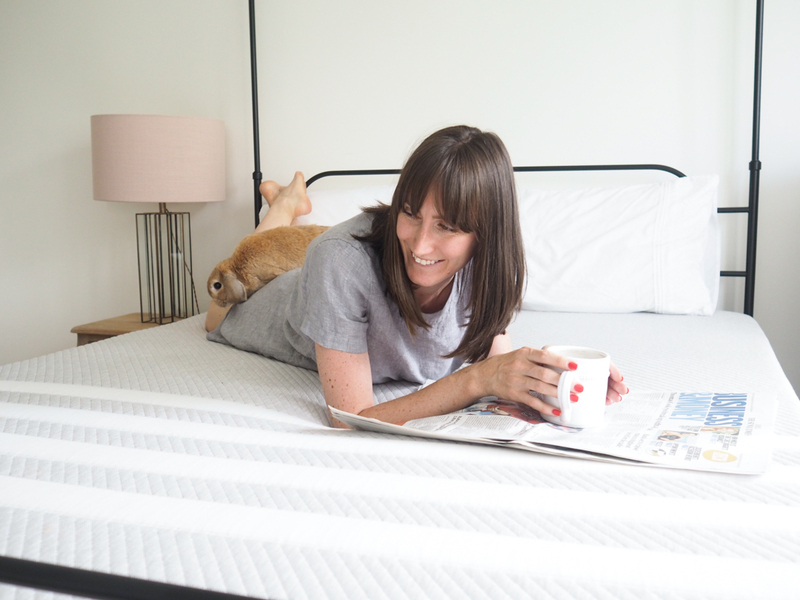 But I think my favourite feature of this mattress is that it comes in a box, vacuum packed and whilst it is pretty heavy, it is easy to get up the stairs and around tight corners which is great in an old Edwardian house like mine that has a twisty staircase. It is also pretty satisfying when you take off the wrapper to watch it slowly unfold and unfurl and in a short amount of time it is almost impossible to imagine that it ever fit into the box at all! 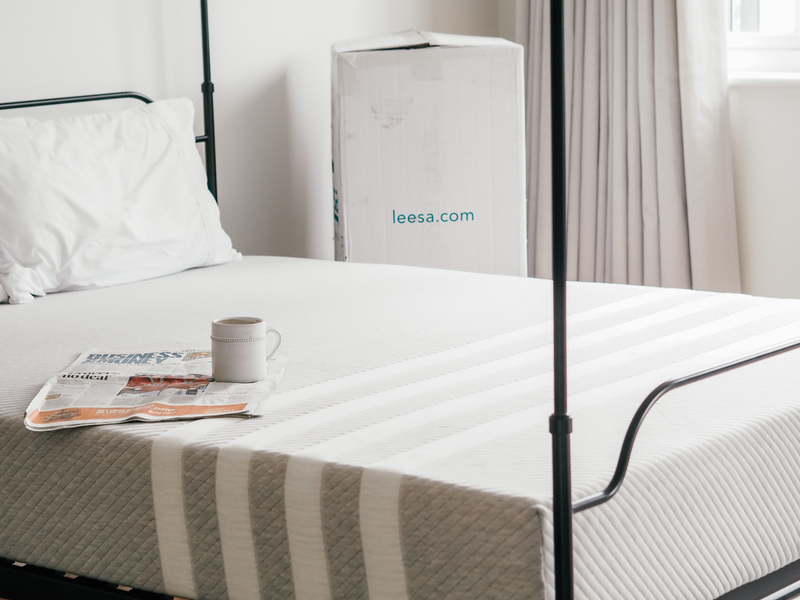 Every Leesa mattress is made to order right here in the UK. 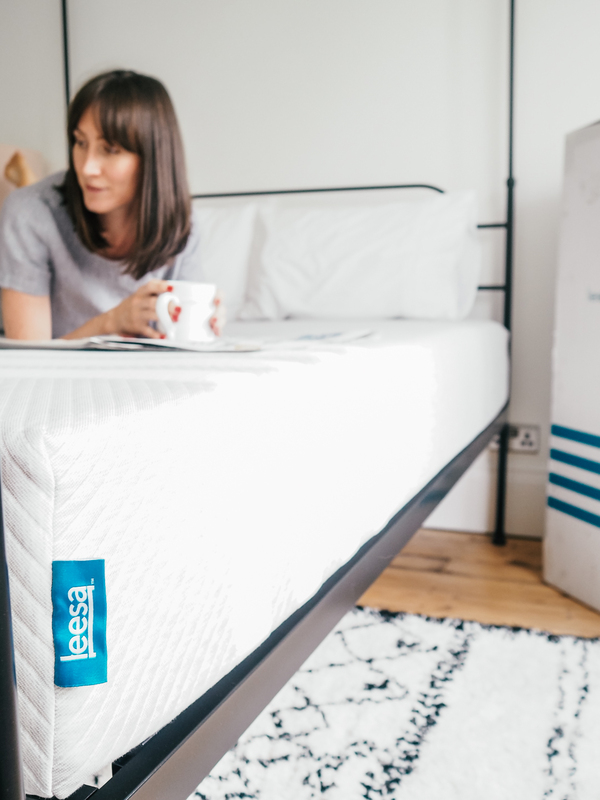 For every ten mattresses sold Leesa donate one mattress to charities supporting the homeless, as well as those seeking refuge from domestic abuse and human trafficking. 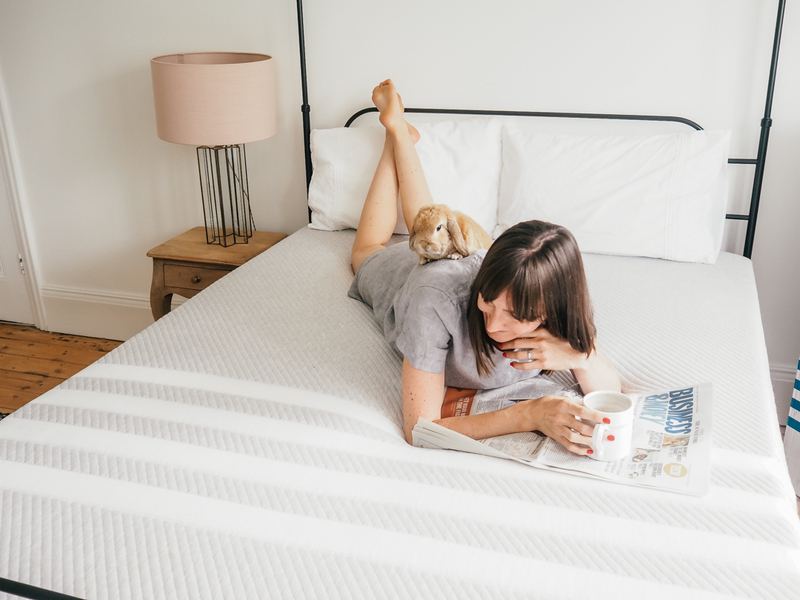 The mattress is engineered with three layers of premium foam materials that work together to adjust to your body, so it feels incredible, whether you are a back, stomach or side sleeper. Want to try it out for yourself? 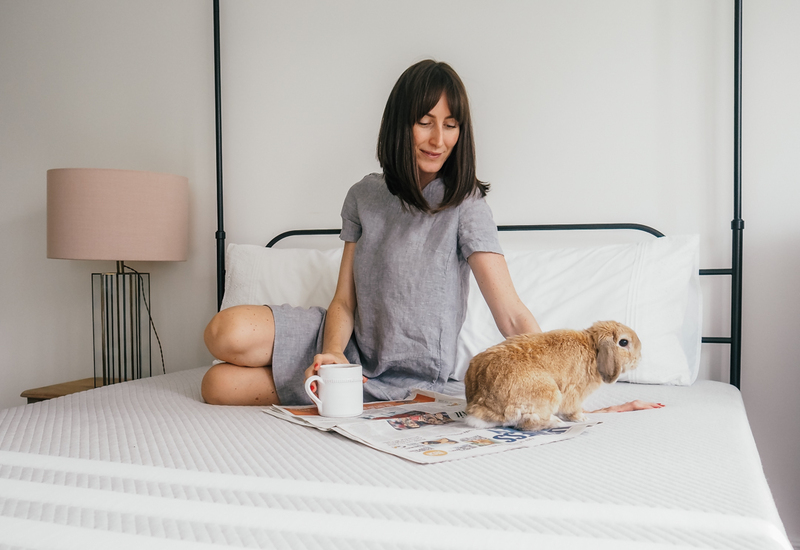 Get £100 of your own Leesa mattress using the code “THEGREENEYEDGIRL” and don’t forget, if you truly don’t like it, they will take it back! 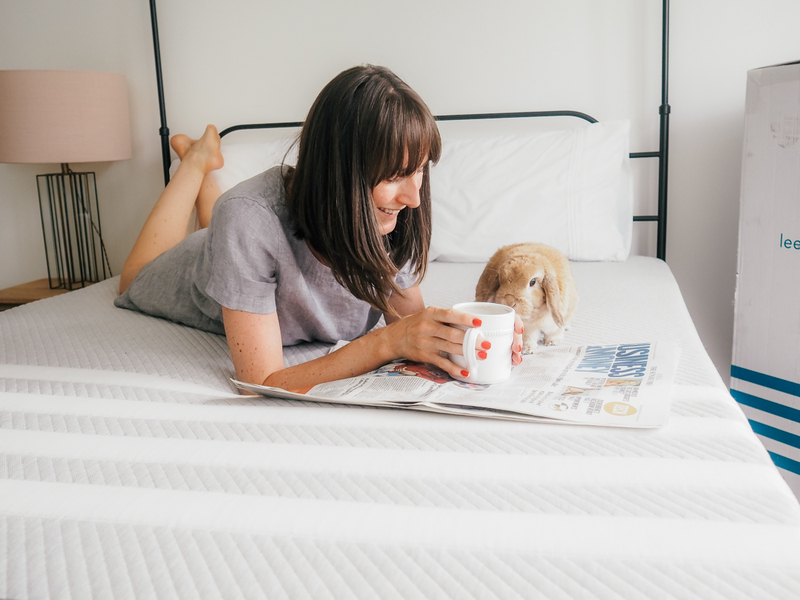 mattress for review, but as always, all views and opinions are my own. Some links in this post are affiliate links which means I may receive a small percentage of the sale if you click these links and purchase a product.